One night, in the early hours of the morning, I was up looking out at the quiet, moonlit silence. The Lord prompted me to pick up and open my Bible. I did so and found myself reading these words – the first to appear at the top of the page. In fact the truth is that He looked for me, tracked me down, called and reached out to me, and took me into His life and His heart. It was no passing whim, no sudden impulse to be forgotten and ignored – but a deliberate and conscious decision and act that had eternity in mind. What is true for me is true also for each and every one of the sons and daughters of this great and wonderful God. Whatever our earthly state the eternal truth remains and will never end either here or throughout the blissful endless ages to come. Father God I am Yours – and I rejoice with humble awe and wonder. You have called me and are transforming me day by day into the person You always intended me to be –and You will never ever let me go. Thank You so much. Amen. Firstly, there are spectators. There to watch, to support, to encourage and to applaud, they are keenly interested in and supportive of our Christian lives and ministries. This should also make us pause if we are tempted into something which is unhealthy, unhelpful and unholy! Secondly, there is the training involved. We cannot possibly merely drift along in the great race of the Christian life. Like all serious athletes we should be looking at a regular and healthy balance in our life-style as well as discarding surplus weights and activities. Some of these may not be wrong in themselves but may hinder us in our particular journey. Others may well be directly detrimental to our spiritual and physical lives and efforts. Through it all we are expected to practice our own particular ‘disciplines’ or gifts and be aware and concerned about our fellow travellers. Thirdly, there is the finishing line. The race of life is all about how and where we are going. This involves recognising and avoiding distractions and keeping our focus and attention on the Lord at all times so that we continually end up in the right place at the right time. It is small wonder the fruit of the Spirit includes self-control. 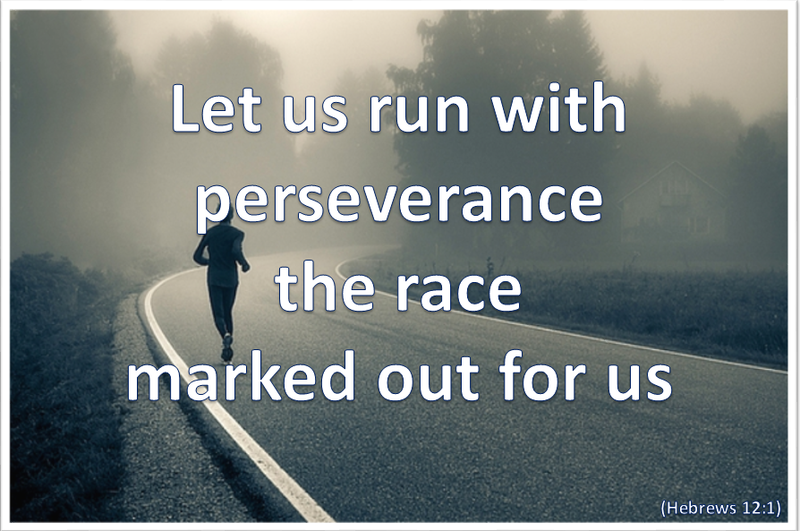 If we are to run our particular race faithfully and to the end – there to receive not just the applause of the spectators but the ‘Well done, good and faithful servant’ from a smiling Lord Jesus – we will need the self-discipline required to make the journey less of a trial and more of a joy. Lord Jesus, You have chosen me to be a member of Your team. Help me to run my part of the race faithfully, and with commitment and self-control, living at all times to Your honour and glory. Amen. We face challenges on two fronts. One is the public front of proclaiming and living out our faith – living new and committed lives within the sight of those around us, some of whom may be either cynical or actively opposed. 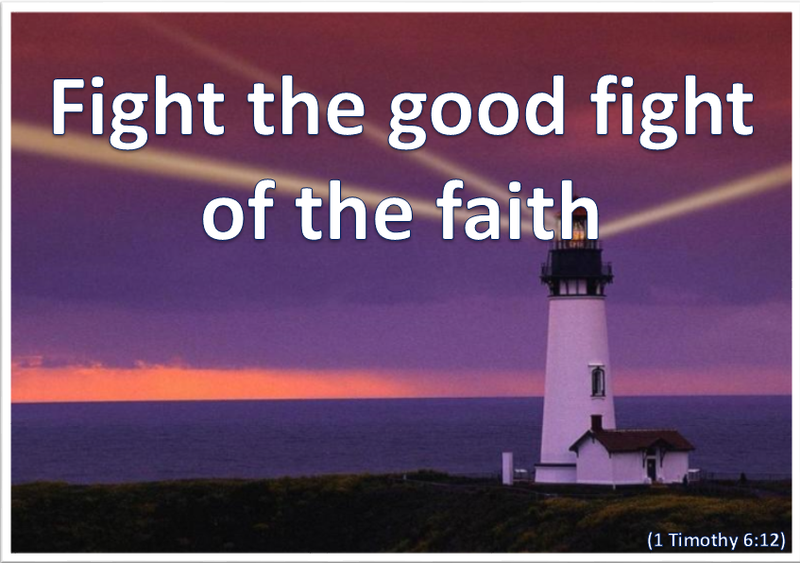 The great temptation is to keep our faith secret and hidden and so avoid any confrontations or embarrassments. The private challenge is dealing with the fears, attitudes and temptations that seem to flood our lives, sometimes taking us by surprise. We can begin to doubt our faith, integrity and sincerity and, if we are not careful, descend into a pit of hopelessness as we lose faith in ourselves! On both these fronts, and indeed in every aspect of our lives, we need to realise that we are under attack. The enemy of God is opposed to both Him and His people and will do what He can to trip or sidetrack us. As he did with Eve he will seek to remove our eyes from God and re-focus them on ourselves. Another prime example is when Peter was walking on the water towards Jesus. He was fine whilst his focus was on the Lord. He began to sink when he looked instead at the mountainous waves and allowed the fear inside him to well up. Trust God at all times – even when you fail or fall. Father, please help me never to lose faith in You and in Your great love. And when I fail help me not to become a bundle of misery but to get up and carry on with You, Amen. We are told by Paul that in everything we should present our requests to God. (Philippians 4:6) However prayer should also include our praying for the things that God wants. Some of these are set out for us in the Lord’s Prayer where we can join our desires to those of God. Now Paul turns his attentions to our individual and corporate growth and maturity – praying that God will fill is with the knowledge of His will – obviously in all things – through our growth in spiritual wisdom and understanding. This comes through the work and enlightenment of the Holy Spirit within us as well as through our growth in knowledge and understanding as we walk with God along the path that He has set for us. The more we know of God and His ways, and the more we get to know Him personally, the deeper will be our understanding of His will and ways in our life situations. Because we can trust that He is the God of Love we can trust His will and His ways for us. 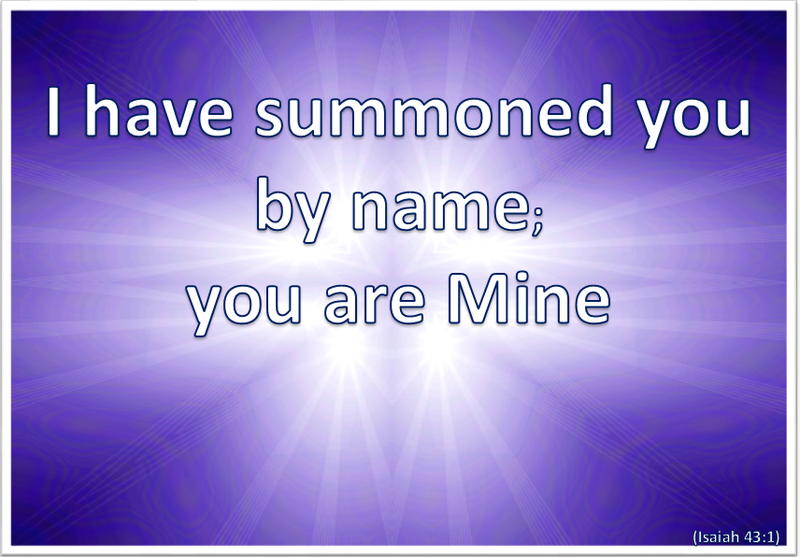 They are designed to draw us closer to Him and into a deeper and more fulfilling relationship. The purpose of this prayer of Pauls is not only to bless us but to enable us to more readily and purposefully fulfil the will of God both for us and through us. We are called to make Paul’s prayer for the Colossians our own prayer for ourselves and our Christian community. 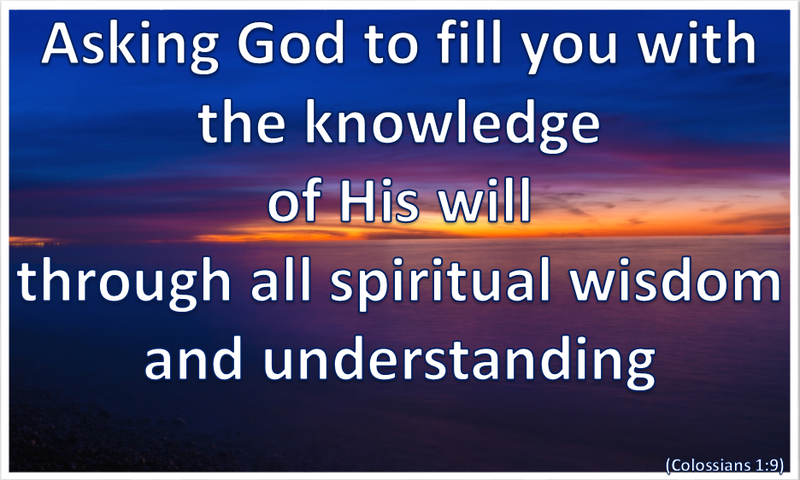 Lord fill me with the knowledge of Your will through all spiritual wisdom and understanding so that I may live a life worthy of You in every way. Amen. Again and again I return to this amazing illustration of the love of God – painted for us by Jesus Himself. This time God surprised me by drawing my attention to the faith of the lost son. He had done everything possible to alienate himself from his father. He had demanded his inheritance early, thereby indicating that his father was living too long. He had walked away from his father, his family and his home. He had ‘squandered his wealth on wild living’ and ‘with prostitutes’ and had ended up a ragged beggar in the gutter, with nothing to call his own and with no means of supporting himself. Everything had been lost including his social status and self-respect. However, there was one precious item that remained – one that only surfaced right at the end. That was his knowledge of his father’s character. And, Jesus tells us, it was ‘when he came to his senses’ that he found it and knew that there was in fact one place to which he could go. He could go home to his father. 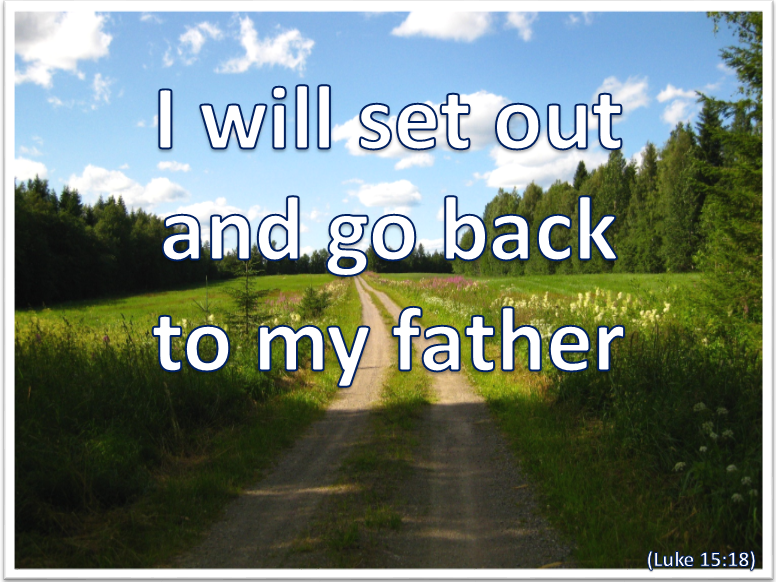 He believed that his father would not turn him away. This is the blinding truth that the Lord Jesus holds out to us. Whatever we have done, wherever we have been, and wherever we find ourselves to be – when the truth hits us that we have got it all so wrong – there remains for us always one safe place to which we can turn – we can go home to God our Father. We can return – not to the servant’s quarters – but into the arms that have never been closed to us. 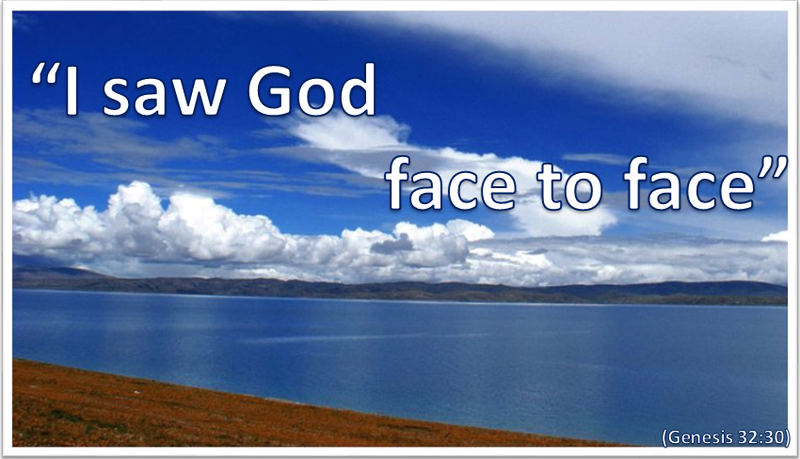 Finally we look away from ourselves and we look at God – and we see – and we find all that we have longed for …. Do I need to go home from anywhere? Help me come Lord Jesus, dare I stay away! There are some quite amazing titles conferred upon people by God – descriptive of a special relationship with Him. Abraham was honoured by God who called him His friend. Joshua was referred to as the servant of the Lord. David was known as a man after God’s own heart. John the Baptist was known as the forerunner of Christ – and as both the greatest and the least. When it comes to us we find to our astonishment that some of them are applied to us as well. For once as His disciples we were the servants of Jesus, then we became His friends, and finally and fully we became His brothers and sisters and co-heirs as the sons and daughters of God. However the world may treat us or think of us, as Christians this is who we are and always will be in the sight, mind and reality of our Father – the Lord God Almighty. It is the way we need to think of ourselves. 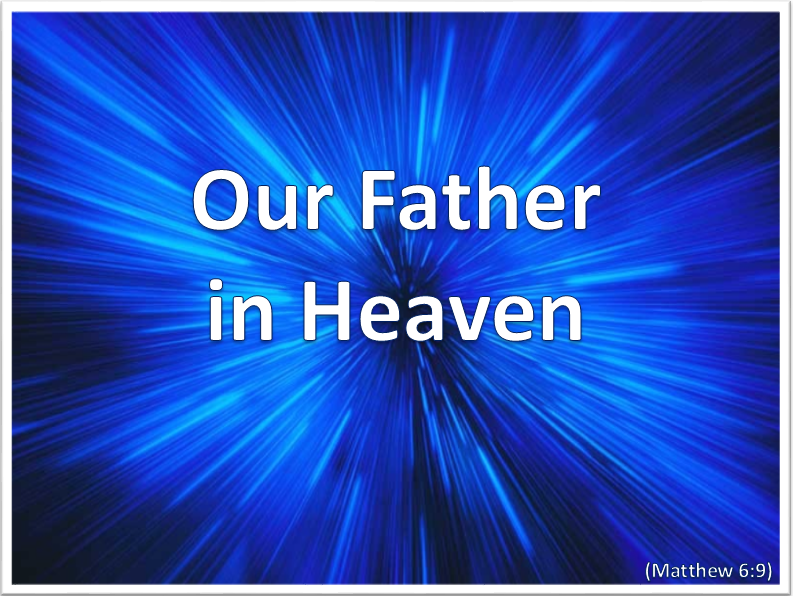 Father you have called me to You and are pleased to call me Your daughter/son. Help me Lord in all humility to acknowledge, receive and accept this honour and blessing and live within it. Amen. In other words the real God desires and looks to meet with the real person – not the actor or actress, hiding behind the mask of a false image. It is only the real person to whom God can extend His love – and only the real person who can partake of His salvation. It is informative that Jacob’s meeting with God was on his way back from the years spent away from his family – and when he was facing the real possibility of being confronted by a very angry elder brother whose birth-right he had taken. It is also telling that God’s meetings with Moses – not only in the burning bush but also face-to-face in the tabernacle – were when he was no longer a prince of Egypt but firstly a shepherd in the back of beyond, and then one who had learned to obey the Lord completely. It can be that the hardest part of our journey to salvation is to allow ourselves to identify and meet the real ‘me’ – to allow ‘me’ into the light – and to bring ‘me’ to the Lord who is waiting and watching for ‘me’. Not who you think you are – nor who you fear you are – allow yourself to reveal the beloved of God.